Ex Demo Cameras There are 5 products. 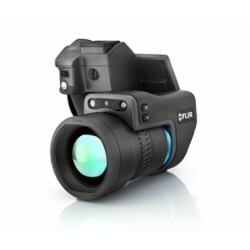 FLIR E8Infrared Camera with MSX® Ex-demo camera registered February 2016. Point & Shoot, 320 x 240, MSX, picture-in-picture. 1 year full warranty. Great price, has to be sold. Please call Allister Pirrie on 01462 894144 for up to date pricing information on this ex-demo camera. Ex-Demo 2016 unit sold with full service, recalibration and extended warranty. Please call Allister Pirrie on 01462 894144 for up to date pricing information on this ex-demo camera. Please call or email Allister Pirrie on 01462 894144 for up to date pricing information on this ex-demo camera. 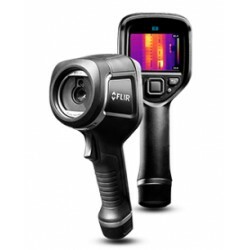 FLIR T530 Thermal Camera - 320 x 240 Pixels. 24 Degree Lens Available. 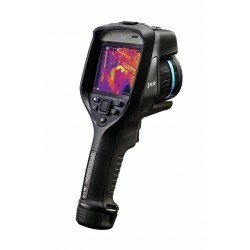 This product qualifies for free delivery by a certified thermographer & free familiarisation training. 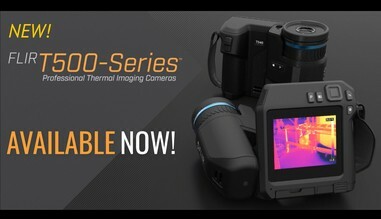 Please contact Allister Pirrie on 01462 894144 for ex-demo camera prices.